From Wikipedia, the free encyclopedia. Kevin McKidd (born 9 August 1973) is a Scottish television and film actor and director. 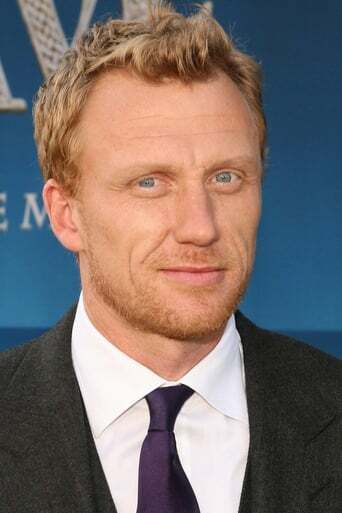 He is known for his prominent television roles, including his performances as Lucius Vorenus in Rome, as Poseidon in Percy Jackson & the Olympians: The Lightning Thief, and as Dr. Owen Hunt in Grey's Anatomy. He has also appeared in films such as Trainspotting, Bedrooms and Hallways, Kingdom of Heaven, The Last Legion, Hannibal Rising, The Acid House, Made of Honor and had the lead role in the cult-classic British horror film Dog Soldiers. McKidd has done voice work and voiced the character of Jezz Torrent, flame haired lead singer of the fictional Scottish hard rock band Love Fist in the video games "Grand Theft Auto: Vice City". He also voiced Captain "Soap" MacTavish in Call of Duty: Modern Warfare 2. Description above from the Wikipedia article Kevin McKidd, licensed under CC-BY-SA, full list of contributors on Wikipedia.